We typically begin marketing a property six to eight weeks before the property is available for occupancy. After researching properties that rented in your neighborhood and previewing your property, we discuss the rental offering price with you and together we establish the price and timeline. Assuming we have 45-60 days to market your property, we begin advertising at a more aggressive (higher) price with the understanding that we may need to drop the price as we get closer to our targeted occupancy date. Our goal is to secure the highest price for every property, but the rental market inevitably determines the price. We have an extensive marketing campaign we use for each property we rent. Not only do we utilize the Realtor MRIS, top 500 websites, Local Realtor contacts, relocation company contacts but we also have several proprietary marketing avenues that only we provide to our clients. We request that you provide us 2 full set of keys to the property when we begin marketing your home for rent and additionally provide us 2 additional sets of keys before you leave. We provide tenants with 2 full sets of keys to the property and keep 2 sets for ourselves. This helps ensure we always have an extra set. Don’t forget to give us keys to mailbox and storage area, if applicable. It is helpful if you label the keys according to which doors they unlock. Make sure to deliver them to us well marked before you leave. Remember we also need fobs, garage door openers and key codes or any other entry devices for your property. A lockbox allows agents and our vendor’s easy access to your property. A lockbox will be placed on the front door or in a secured location close to the main entry area. It will not affect your access to the property with a regular key, nor can anyone access the key without an electronic Realtor lockbox key OR Combination. A lockbox is a critical component of renting, since it allows agents access to show your house. Since there are typically many other houses on the market that do have a lockbox, agents are likely to pass up a house without a lockbox and show one that is more accessible. Agents are directed to call first and leave a message before they show the property, but they are not always able to provide sufficient notice. The more accessible your property is for showings the more likely it is to rent quickly. If you are in a condo or Home Owners Association, please let us know the regulations regarding lockboxes. Some condos request that lockboxes be kept at the front desk and prohibit them from being placed on the unit or front door. Alternately, there may be a specific location to put a key for the building entrance, or a single key might be provided by the Association for all Realtors to use. We want to comply with the regulations. DO NOT LET ANYONE in who just knocks on the door into your home, specifically if they are not an agent. Just refer them to the number on our sign to have someone show them your home. This is a matter of security for you and the property. Make every attempt to have your property show the best it can. 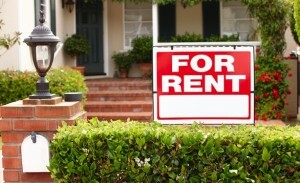 Caution is your best mindset when your property is being shown for rent. Put all of your medicines, jewelry and small valuable items out of sight. If you are home when an agent arrives with a prospective tenant, please make every attempt to leave the property for a short while. DO NOT discuss the price, terms, or any fact unless it is specific to you. The less said the better. The most important part of leasing is the tenant qualification process. Since the tenant is responsible for paying the rent, and for making sure the property is kept in good condition. We completely review the application and supporting documents we receive from each perspective tenant to evaluate them. After review of the application, we provide you a recommendation on whether to accept or reject the applicant. The final decision on whether to accept an applicant is yours but it must be based on non-discriminatory criteria. If an applicant is less than qualified we will present you alternatives for acceptance in order to help secure a lease for your property. Our goal is to find a tenant through our marketing campaign so from the initial exposure to your property, the process and expectations are set to the highest standard. We will agree to work with you to assist in identifying a perspective tenant. If we agree this will be the process in which a tenant will be identified to rent your property, we require that we process the perspective tenant(s) applications through our standard application process.